As an author, do you know how to find your unique voice? What is your purpose? What is your legacy? What is your VOICE? Listen as Paul Larsen shares his powerful and rich insights to discover your uniqueness to stand out in a crowded marketplace. 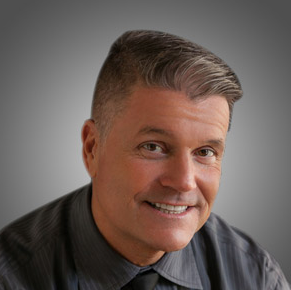 Paul Larsen, a certified executive coach, and an engaging leadership consultant and speaker. As a former C level executive for a 3 billion dollar corporation, Paul has over 30 years of experience creating a leadership legacy at such iconic organizations as Adobe Systems, Charles Schwab, United Airlines, and Bristol-Meyers Squibb. 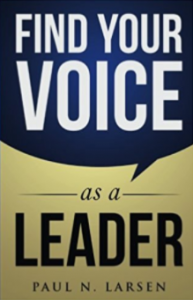 He’s the author of the award-winning book, Find Your Voice as a Leader, (published by Aviva Publishing). As a member of the respected Forbes Coaches Council, Paul partners with successful leaders to find a unique leadership voice, and use it to create purposeful and positive outcomes for themselves and their teams. He’s a dear friend, a National Speaker Association colleague, and together in our spare time, we both serve on the board of the amazing foundation, Together We Can Change the World, which helps women and children in Southeast Asia. Here’s how to connect with Paul to find out more about his coaching and speaking services. Selected as one of the best books of 2016 by IndieReader!